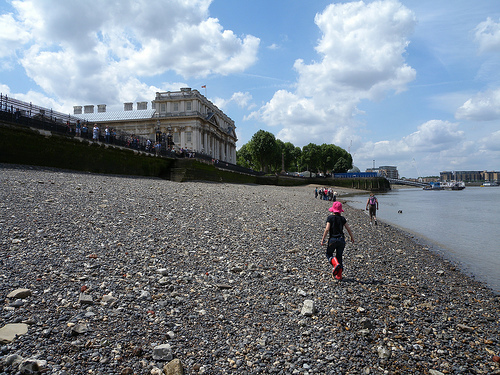 Sunday 14 June saw the FROGs in front of the Greenwich World Heritage Site, examining, with Gustav Milne, a very ‘multiperiod’ section of foreshore. 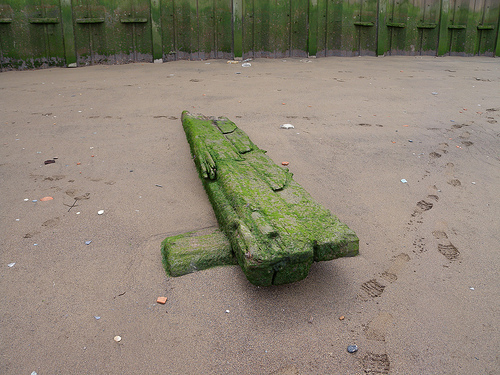 Here brick fragments and posts from the possible access to Henry VIII’s ‘Placentia’ Palace, there ‘the grid-iron’ of a former boat or barge repairers and the famous Trafalgar Pub. As well as being a Royal or Naval centre, Greenwich has been an industrial area, as the disused power station reminded us. 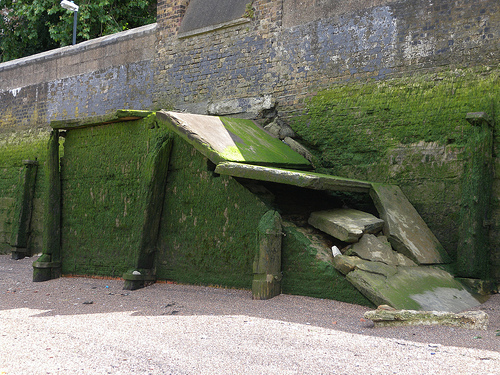 So to fully understanding the foreshore east and west of the Royal Naval Hospital/College will probably involve finding out the nature of its riverside businesses. 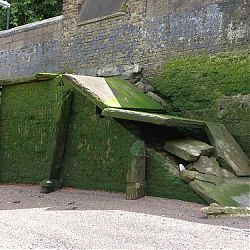 Gus pointed out how we might spot various phases of riverwall building and rebuilding and the signs of former access ramps and stairs, including that of the little-known Trinity Hospital (founded 1613, rebuilt 1812). 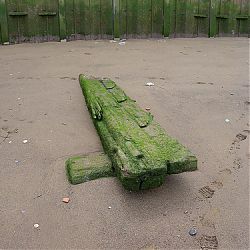 Particularly notable were a series of posts at the water’s edge, that Gus had not seen when working here 10 years ago, and nearby large pieces of unabraided Tudor ceramics. We probably have erosion due to large river buses to thanks for that. 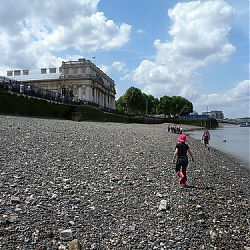 After an enjoyable tour, if rapid tour, it was off to see the Painted Hall or the Tudor Fair that was in full swing among the famous buildings.